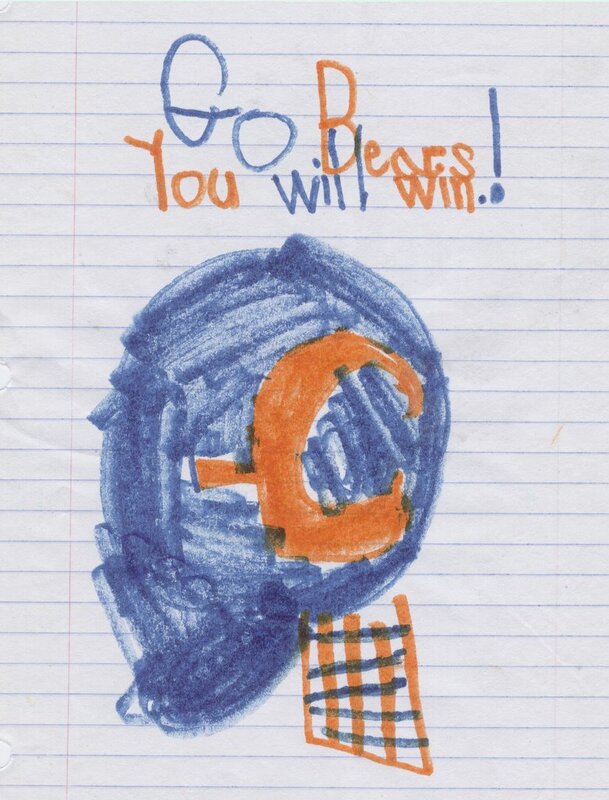 The drawing above of a Bears helmet was done by an outsanding 7 year old boy currently in first grade, my son. If I were a sports fan, in theory, I would be torn about the upcoming game between the Colts and the Bears. I dedicated almost eight years of my life to the Jewish community of Indianapolis. I, now, currently reside in Chicago. For me, it really doesn’t matter who wins… I’ve never been too into sports. For my son, well, it’s a different story altogether. His love of the Bears has grown over the past year. He has ‘subliminally’ been showing his team pride over the past few weeks with his drawings and colorings of the weekly parsha. First it was Yosef’s me’il that was colored blue and orange. Then it was a Bears blanket that covered Paro as he slept and dreamed. Most recently it was a picture of two Jewish slaves working in Egypt, wearing Bears jerseys. As I said, I’ve never been too into sports. But I keep up with the scores, watch some of the games with him (and let him explain things to me) and try to bond with him. It’s important to show interest in what our kids are interested in. My neighbor is a huge Chicago sports fan (Sox not Cubs). I have observed the special bond he has with his oldest child when it comes to sports. I know that I cannot make myself into a sports fanatic, but I try to use things like “da Bears” as a way of bonding with my son. My son is wise to me. He knows that I’m not as into it as other dads, but he’s cool with it. He sees that I make the effort and I hope there is something to be said for that. An observation: In a city devided by baseball like Chicago it’s nice to see people rally behind one common goal…the Bears. There is a lot that I take away from such unity, even on a gachmius level. Note: I do enjoy watching the XGames! 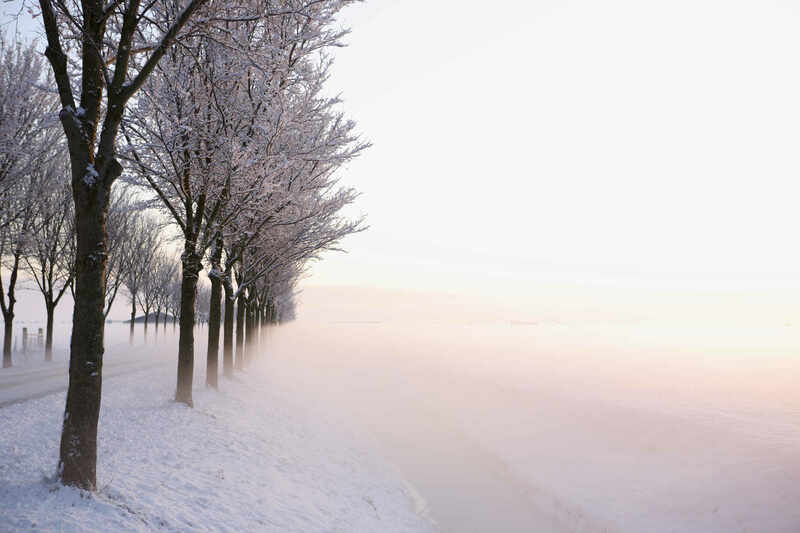 This entry was posted in Achdus, Chicago, children, personal on January 28, 2007 by Neil Harris. I think it’s very positive you show interest in tings that are important to the kids, even if it’s not a shared passion. On the other hand, I’m against encouraging children to idolize players(who might very well be very bad examples) and to love ‘teams’. Why not teach them to channel that love to more real stuff and real people? For a 7 yr old, who loves sports and plays TEAM sports, this is real to him. It’s as real as all the things he loves: Torah, reading, dancing on Simchas Torah, math, etc. Our shul (Neil’s previous shul!) has an annual fundraiser involving a raffle, watching the Super Bowl (on the humongous TV to be raffled off), and eating. Months ago, we began getting announcements breathlessly promoting this year’s event. At one point late in the regular season, when the Colts’ D had gone S, I suggested to our Shul President that we could hype the gate by inviting the Colts themselves to our party. This slam evidently had cosmic consequences, because the Colts, aided by the return of starters from sick bay, suddenly began to make like champions. Week after week of the playoffs, our President has predicted victory in his Shabbos announcements, and week after week the Colts have come through. But now I see that Neil and his family, cozy in their new habitat, have become transfixed by the local avodah zara. I sadly anticipate their imminent diappointment with the Bears (they’re only larger Cubs, after all). This, too, shall pass after the fraudulently named Grossman has passed poorly. Then Neil & Co. can focus again on the many Jewishly important attractions of Chicago. I know! You’re not that type, despite your surroundings.